I have decided to put together five micro 2.1 systems as Christmas gifts. Two of the systems will use the "Wolf's PC" speakers. The remaining three systems will use the Paul Carmody "Sprite" cabinets and filters as separates. All five will utilize Paul Carmody's new "Voxel" subwoofer. 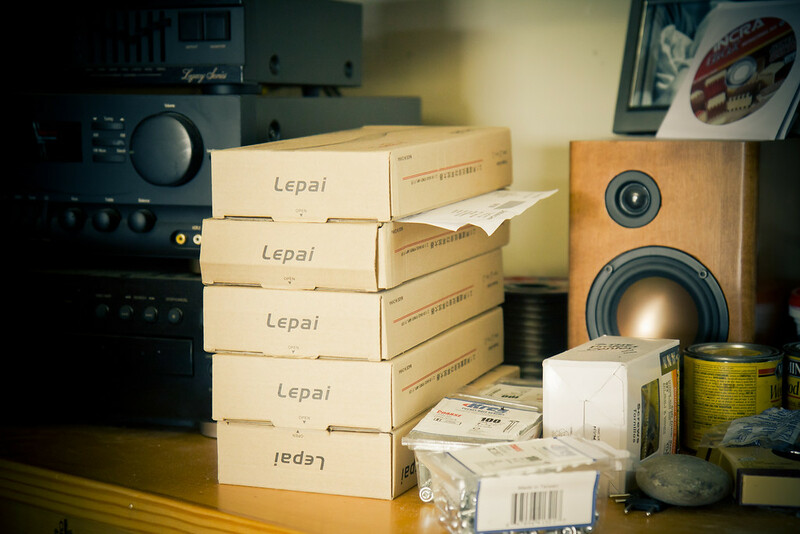 The systems will be powered by the 2.1 Lepai amplifier. Before going forward, I'd like to extend a big "thank you" to Paul Carmody, Wolf, and the other talented folks here on the forum who share their designs. If not for their efforts, woodworker's like me might not have a clue what music REALLY sounds like! In researching for this project, I found bits of information here and there on these designs. In addition to links to the designs, I will try to list any other helpful links I have saved. The "PC" and "Sprite" designs both utilize the Aurasound NS3-193-8A1 3" full range driver. The Dayton ND90 can be used as a direct replacement for the Aura NS3. The "Voxel" subwoofer uses the Tang Band W5-1138SMF 5 1/4" paper coned subwoofer. Last edited by Cajun Jeff; 12-16-2013, 03:20 PM. I attempted to start this project last week but had a couple setbacks. The first was some nasty tearout on the box joints that I wanted to use for the enclosures, and just as I was about to conquer that, the power switch on my tablesaw failed in a puff of smoke. While waiting for the new switch to arrive, I decided to buy a box joint blade rather than use the dado set I had been attempting to cut with. 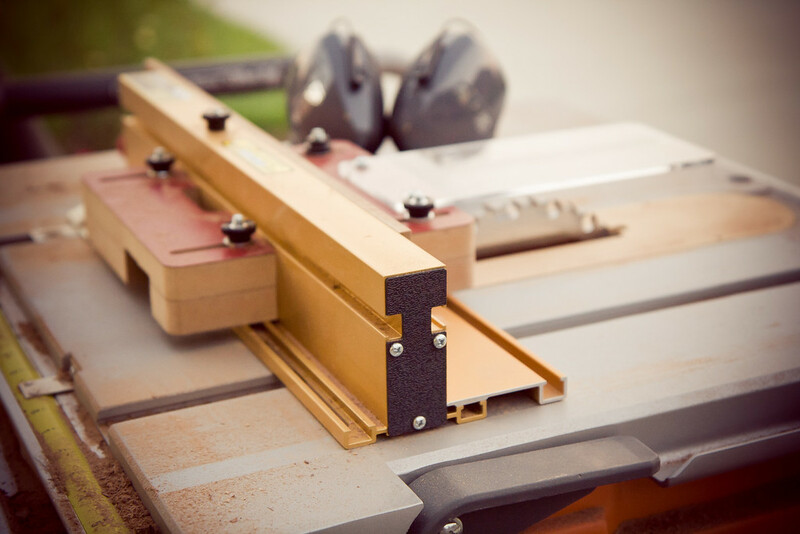 Dedicated blades are always better suited to their purpose than any other blade. I already knew this.....not sure why I procrastinated. Saw repaired and Freud SBOX8 Box Joint Cutter blade in hand, here we go! 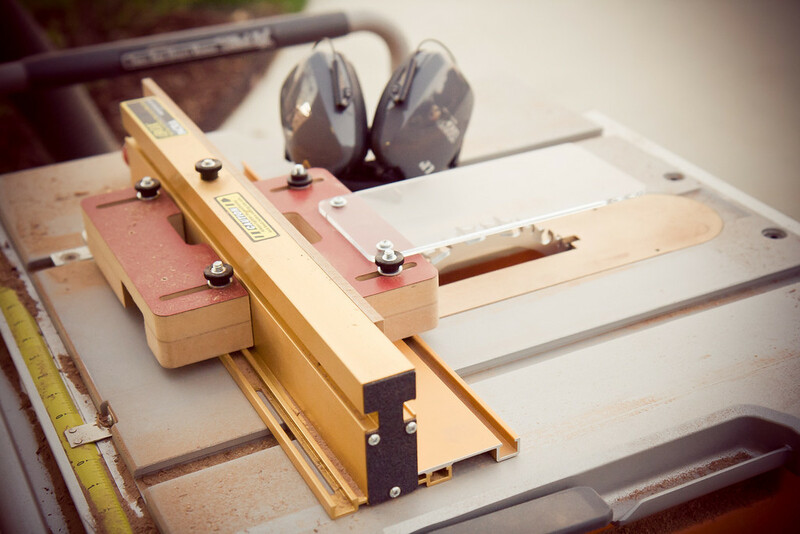 -Below is the Incra Ibox jig installed on my tablesaw. 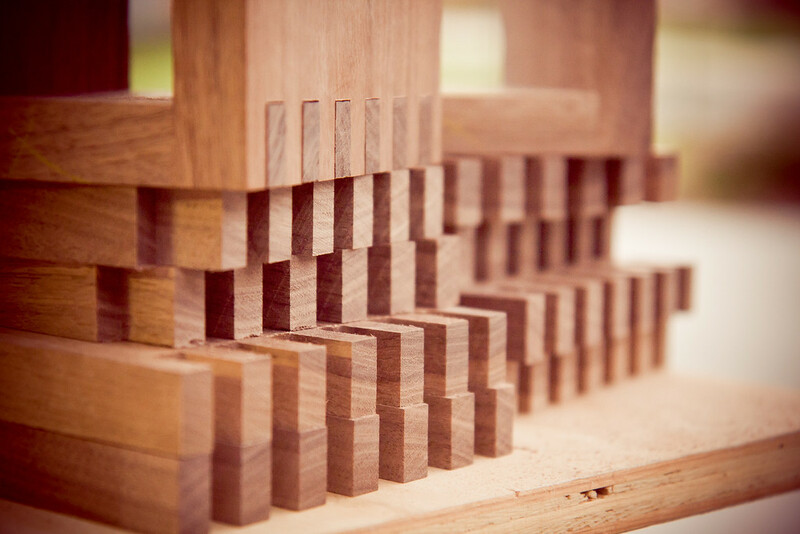 The jig aids in proper set up and spacing for the box joints. 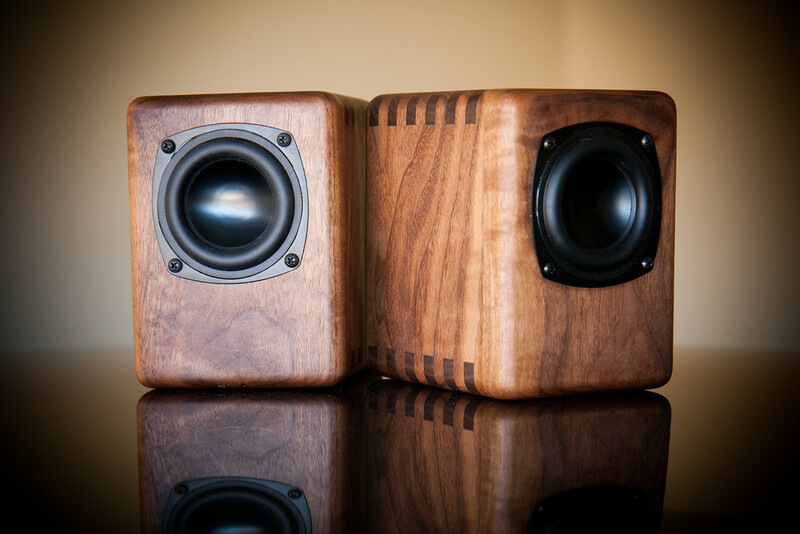 - The box joints on the two pair of "Wolf's PC" speaker enclosures. I decided to do the smallest enclosures first....to sort out any problems in an effort to keep material waste to a minimum. The walnut is gorgeous. I have a couple pair of vintage Realistics with oiled walnut cabinets that inspired me in choosing walnut for this project. I plan to fill that knot with epoxy or something. I debated about using a piece with a knot, but in the end, the surrounding burl made me keep it. I haven't done any glueing yet. These are just dry fit ups. Last edited by Cajun Jeff; 10-14-2013, 07:12 AM. I listened to one of the Lepai's for a couple days last week through a pair of unmolested Realistic Minimus 7 speakers I found recently on craigslist. The speakers (now on loan) will be a future project(updated crossovers). The Lepai sounded every bit as clean as my 2020 even though the Min 7's have shortcomings. I did not connect a subwoofer yet. On the left hand side of the amp. The side that runs between the power switch(front) and the power cable connection(rear) there is a phillips head screw in the hole that I believe you had asked about. I can get a photo the next time I have a camera in the shop if need be. 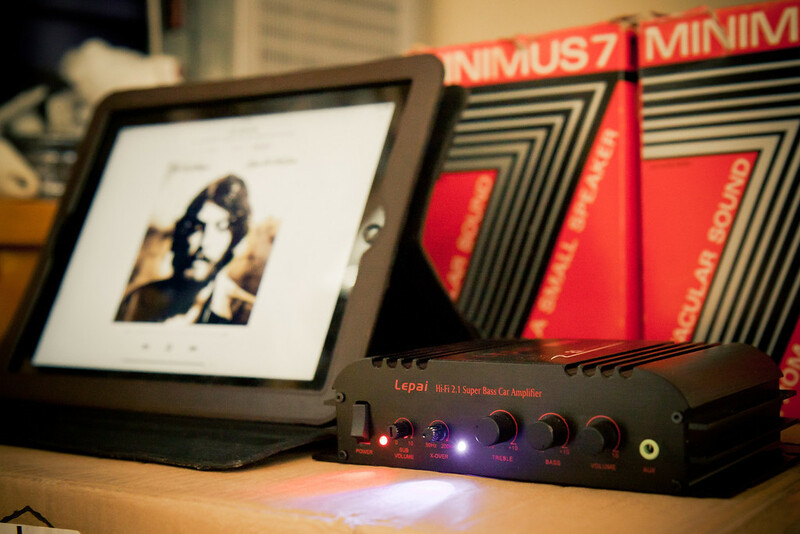 And sure....Ray Lamontagne's "Let It Be Me" sounds great on just about any gear! 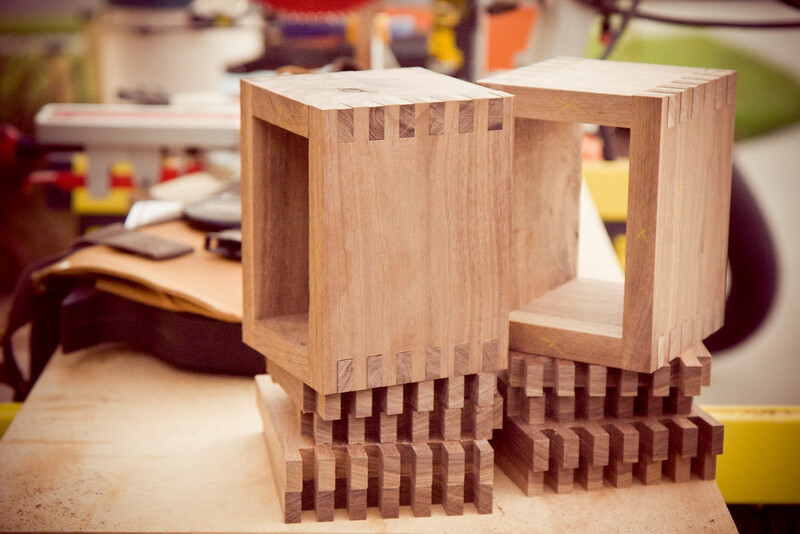 Those box joints are very cool! Sub'd to see what you are going to do with the baffles. Looks sweet so far - love that wood! Thank you! Looks like I will mod mine to clamp the chips to the case. I just felt like it was meant to be that way, so I'm glad I asked about it. Walnut looks great! I see you changed the dims a smidge, but as long as it's internally a single liter, you'll be okay. Mine were rectangular to have a false bottom for the capacitor. Internally is a 4" cube. Oh- and I thought the Sprite was based on the ND90. PC is the Aura, and I don't aspire to the thought that these are interchangeable in terms of spec. At least mine aren't, being from the earlier production times. You're quite welcome. Was yours shipped with the hole empty? I haven't checked all 5 of mine. 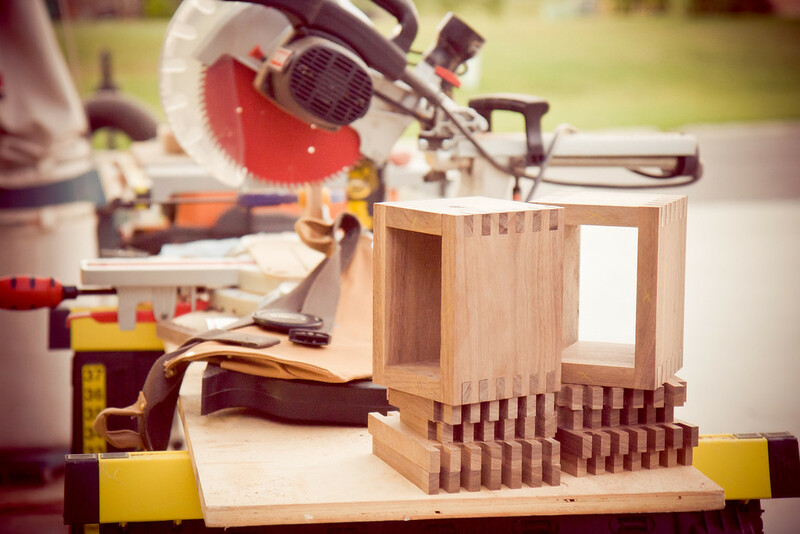 The inner volume will end up at 65 cubic inch verses the 64 cubic inches of the 4" cube. The cap will be inside and possibly some bits of board to act as braces to accept screws from back panel. The dimensions are really skewed on the boxes at this point in my build. 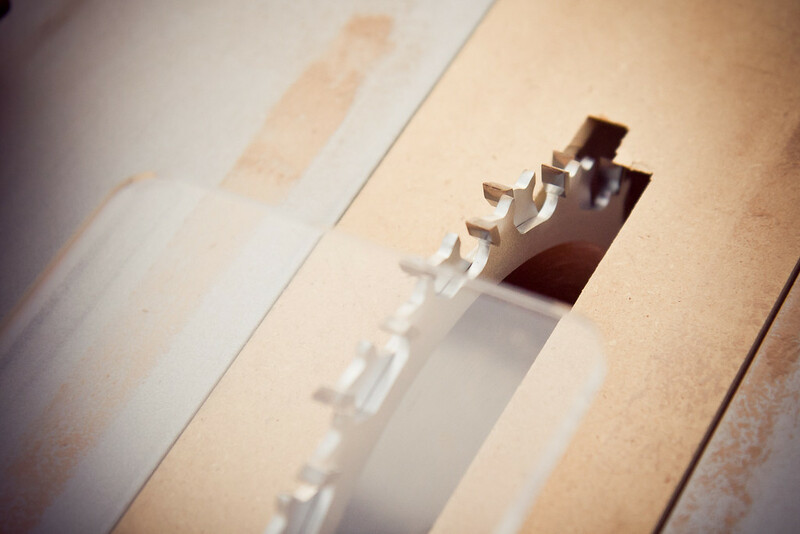 I added extra to the depth with the intention of running the jointed panels through the table saw to ensure that the fingers at each end(front and back) are of a matching size. Also, I haven't decided if I will shorten the box to mount the back panel to it or to flush mount (inset) the rear panel. In any case, I am borrowing the form factor from forum member "andykriech" with the exception of taking into account the 3/4" thick material I am using. Images from "andykriech's" PC build are HERE(link) in his photobucket album. I certainly won't argue the point, but I based my decision on a couple factors. The Chris Roemer "pico neos" use a .15 cubic foot enclosure and AURA NS3. Paul Carmody calls for "around 4 liters" The posted drawings on his "Sprite" write up show internal dimensions to be a breath away from .15 cubic feet. The only real difference between the two designs other than drivers are port size and the filter on the "Sprite". This, plus the fact that others have been satisfied when interchanging thug two drivers has shaped my decision. Not to mention I was able to buy 10 AURAs for $125 verses $185 for the same number of Daytons. Can you offer guidance on stuffing and foam in the PC? I have mattress topper foam as well as accousta stuff and poly fill here on hand. Last edited by Cajun Jeff; 10-14-2013, 11:23 PM. We feed crushed walnut hulls through the air intake of a 90,000 horsepower gas turbine at work. This is to "dust" the compressor blades. About a gallon ice cream container full once per week. The hulls are incinerated as they pass through the waste heat boiler and out the stack. It creates the most incredible smell. My shop smells the same right now. The walnut was all rough cut, so I have a dust collector about half full plus a 50 gallon garbage bag nearly full of shavings. 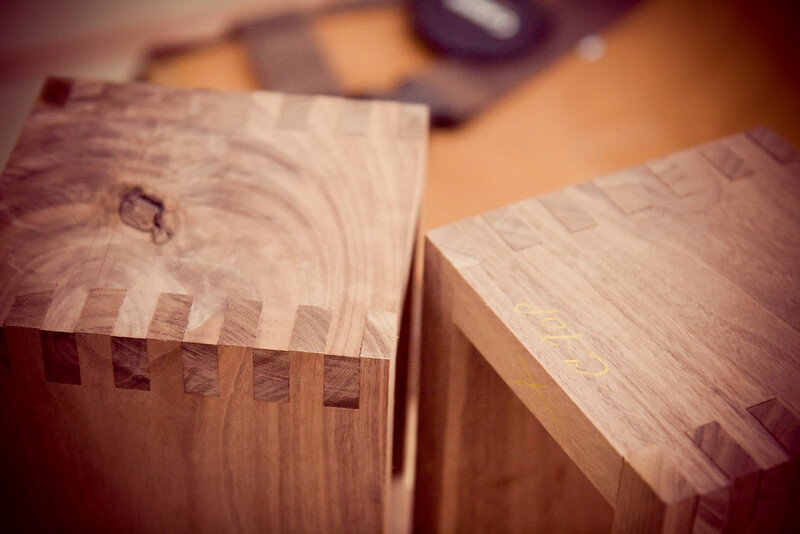 In every sense, the walnut has so far been a pleasure to work with. I am concerned with how the router work will go since it is such a hard wood. My intent is to rear mount the driver and round over the front of that cut out. Also, I want to do some rounding over on the cabinet edges. I suppose I will find out soon enough whether my vision has exceeded my tooling/skill level. I agree! I have always liked the look of them. 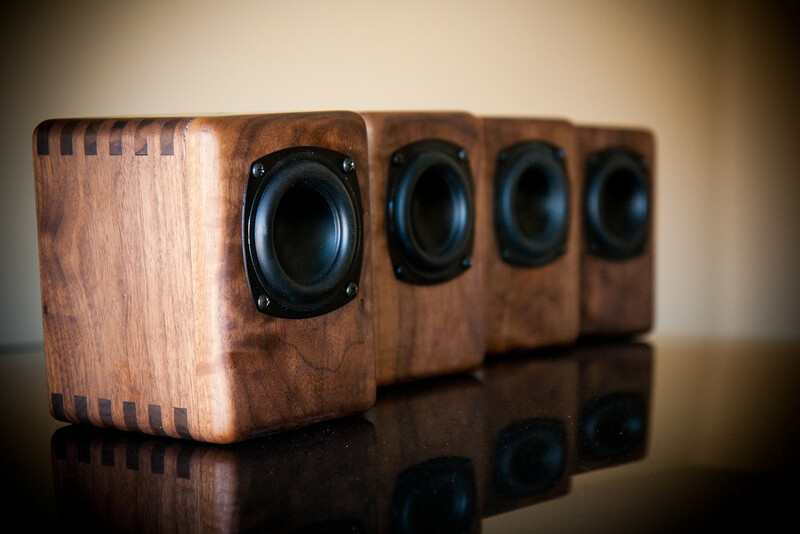 I have a few non speaker projects that I want to use box joints on as well. .....and Thank you for your kind remarks. Sounds like pretty cool job Jeff! I can just imagine what the shop must smell like! We have a cedar shingle sawmill not too far from my house and I just love the smell as I drive by. Dunno- got mine at the tent sale, and it came in a Chinese covered box, very unlike those of what you have there. In any case, I am borrowing the form factor from forum member "andykriech" with the exception of taking into account the 3/4" thick material I am using. Images from "andykriech's" PC build are HERE(link) in his photobucket album. I thought of Andy's version when I saw your dimensions. Being these are so small, Sonic barrier would likely be best on the inner rear wall, but topper would work. poly-fill or A-stuf would also be fine for the fill, and I always say 1-2oz, and that's a lot to go in that size of a box. That small distance reflection is the main issue these sound hollow, and damping it successfully remedies most of that. Very interested in how the Lepai will be able to drive all of this and especially the Voxel as that's another side project I want to do! OS TM's + Voxel sub run by the Lepai! I have no idea if it's any good but on paper it has a fair bit more poke albeit at nearly $100 more! I'm surprised there isn't more 2.1 amps (DIY or otherwise) springing up to cater for the PC speaker DIYers or the sound bar fans! Maidisound has the Keiga KG3100. A 2.1 that's rated at 50w plus 2x50w. It looks to be a decent product but at FIVE times the cost of the Lepai. Needing 5 amps myself, THAT price would have made my project impossible.